One of, if not the biggest story from Supreme’s Fall/Winter 2013 collection was the continuation of their collaboration with sportswear label Champion. 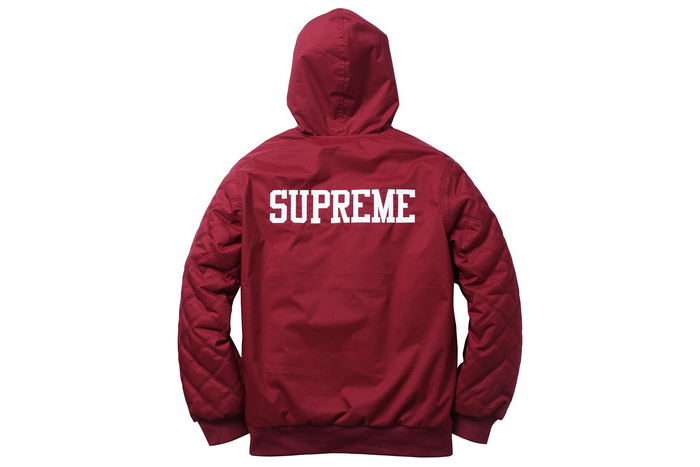 Bringing back the manufacturer’s iconic ‘Big C’, Supreme release a pullover hood and zip-up jacket with a few additional details. 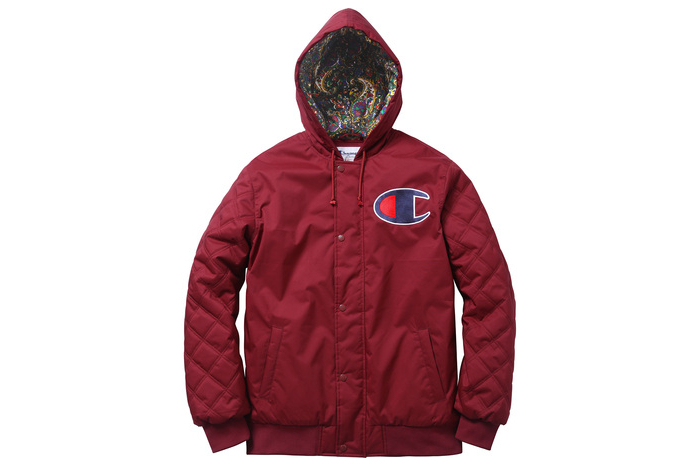 The filled sports parka features quilted sleeves and both zip-up and snap button closure on the front. 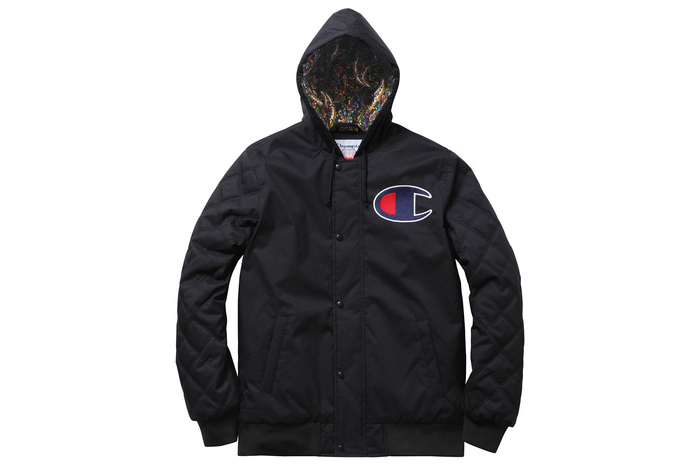 Champion’s C rests on the front and the Supreme name across the shoulders on the reverse. 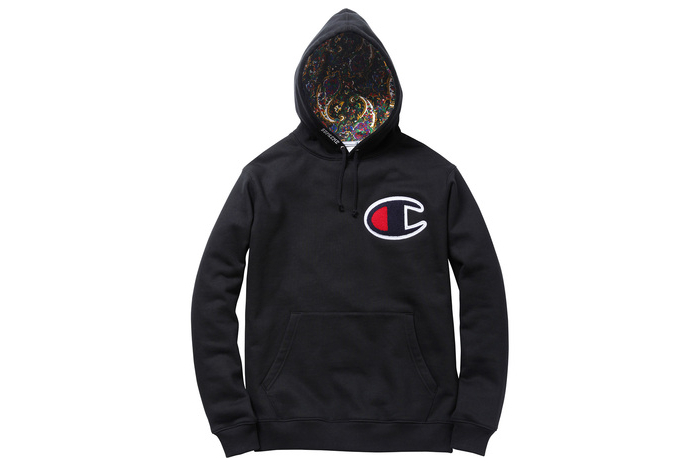 The pullover hood follows a similar design with a Chenille C on the chest and Supreme branding around the edge of the hood. 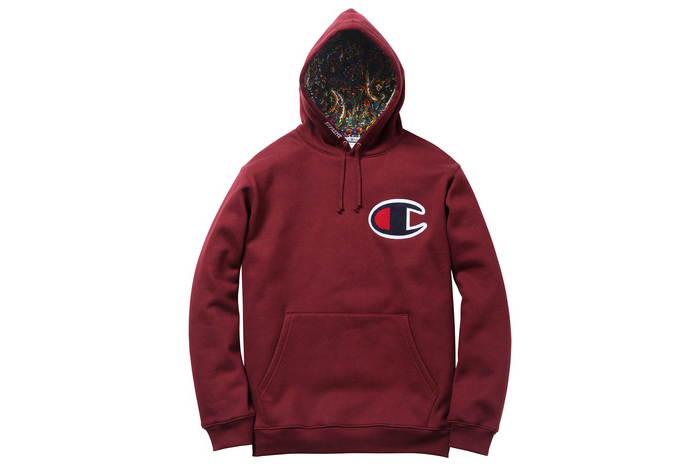 Both come with a paisley printed hood lining are available in a number of colour options – the burgundy/maroon definitely stands out but it doesn’t get much better than the oxford grey hood for me. 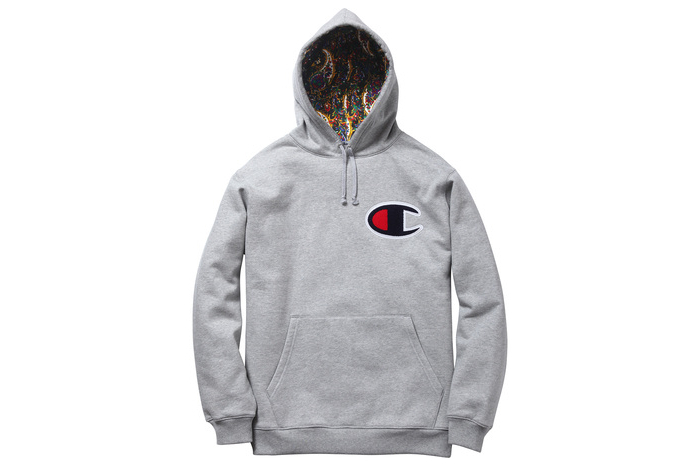 Champion’s Big C fleece is a lesser spotted thing of beauty these days, and this season’s offering presents something more wearable than the previous star-printed crewneck. At the time of posting the Supreme webstore shows limited sizes available, but you may find luck with a few more in-store. Check out the best of the bunch below.